AIIMS 2016-17 examinations were through the Academy of Medical Sciences, New Delhi All India Institute of Medical Sciences and the examination is known as India's top medical entrance exam. 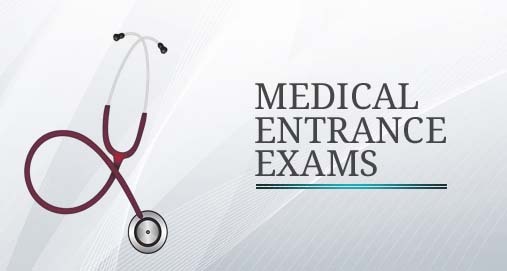 By qualifying this exam, candidates can enter UG MBBS degree course admission respect AIIMS institutions. Every year a large number of candidates appear in this exam. Who is to appear at AIIMS 2016 Candidates will be required to go through this article you can find all the relevant information for them in here, such as application forms, eligibility criteria, test mode, admit cards, results, etc. Candidates must be at least 17 years old either at the time of admission or on or before 31 December, 2016. Candidates born on or after the date January 2, 1999 are not eligible to apply for AIIMS MBBS 2016. Candidates must have finished their class 10+2 education with subjects Biology, Chemistry, Physics and English from a recognized board. Appearing candidates can apply. The minimum mark must be acquired in class 10+2 by candidates belonging to General and OBC category is 60% whereas 50% for SC or ST. Candidates can AIIMS February 2016, 2016 (tentative) and month of the last date for application forms filled out the application form, will be on March 2016 (tentative). Candidates can be in online mode, from its official website that is http://www.aiimsexams.org/ application AIIMS 2016.